In Bloom Slots Game by IGT - Take a FREE Pokies Spin Right Here. While playing online pokie games can be exciting in most sites, not all experiences are the same. A lot depends on the developer and platform created by the software company. IGT is one of the renowned slot developers reputable for their sleek gaming experiences and rich themes. One of their popular online slot games is In Bloom which offers multiple opportunities to make a sizable profit on your wagers. Here is a brief descriptive review of the slot including its features, theme, how to play and winning ways. As the name suggests, In Bloom is all about flower gardens and its theme is characterized by various garden symbols. The game’s backdrop features lilies, poppies and roses and different colors of ace-card symbols. Another symbols found in the game is a butterfly which acts as the slot’s scatter. The bluish backdrop provides an ideal theme to keep you spinning the reels as long as you desire. It also features an ambient sound that progresses to dramatic exciting music. As aforementioned, In Bloom is an online slot game designed by IGT (International Gaming Technology). 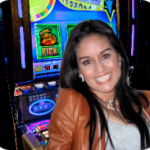 The game is a typical 5-reel slot offering 40 fixed paylines. You can stake from 50 to 2,500 coins per game. Beside the basic scatter and bonus features, Bloom has a special “hello-symbol-burst” feature that gives punters a chance to land 15 symbols of a kind in one spin. In a winning combination, the flower symbols can transform to between 1 and 5 symbols of the same kind. Landing 3 butterfly symbols at the same time anywhere on the reel gives you free spins known as the In-Bloom-Garden bonus spins. Each flower has different free spins; Poppy flower has 5, Rose has 8, Calla lily has 10 and water lily has 12. During the bonus spins, only the symbols of the given flower will appear. The slot also features multipliers that can increase your stake by up to 50 times. Although this slot does not have an auto-spin feature or wild card, the existing possibilities are sufficient to give you a profitable outcome on your wager. Symbol-burst feature in particular is a perfect inclusion for the game. Winning is governed by various rules as identified in the table of slot regulations. It is no different from other 5-reel slot machines, only that In Bloom has more paylines to stake your wager. The maximum reward you can win per spin is 50,000 coins. However, this amount can quickly increase with bonus spins and multipliers especially since the game has several opportunities to land bonus spins. This game is ideal for high-rollers as the minimum stake is 50 coins and the wins on each payline is multiplied by the coin value. IGT has several high-end video slots and Bloom is among their most loved games especially since it is available for iPad users. The game play and theme complement each other to give an entertaining experience. Nonetheless, you still need to find a reliable online casino to play in. not all casinos provide a sleek user-friendly interface with adequate security features and conveniences. Make sure you carefully review each casino and determine their market reputation before signing up, just take a look at our New Zealand player (approved) casinos.